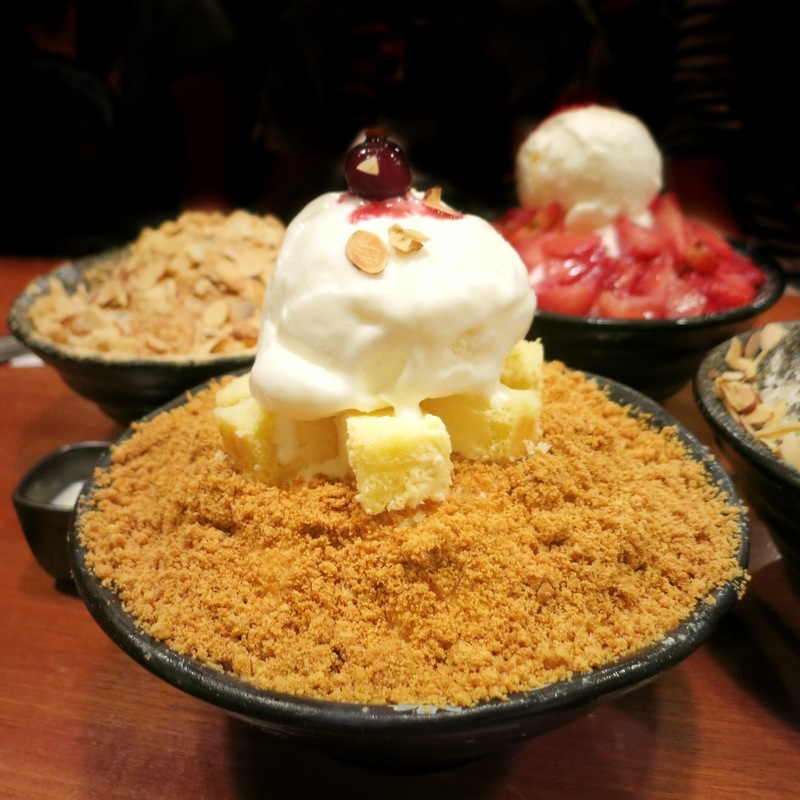 The Bingsu craze has taken over Singapore by storm a few months back. 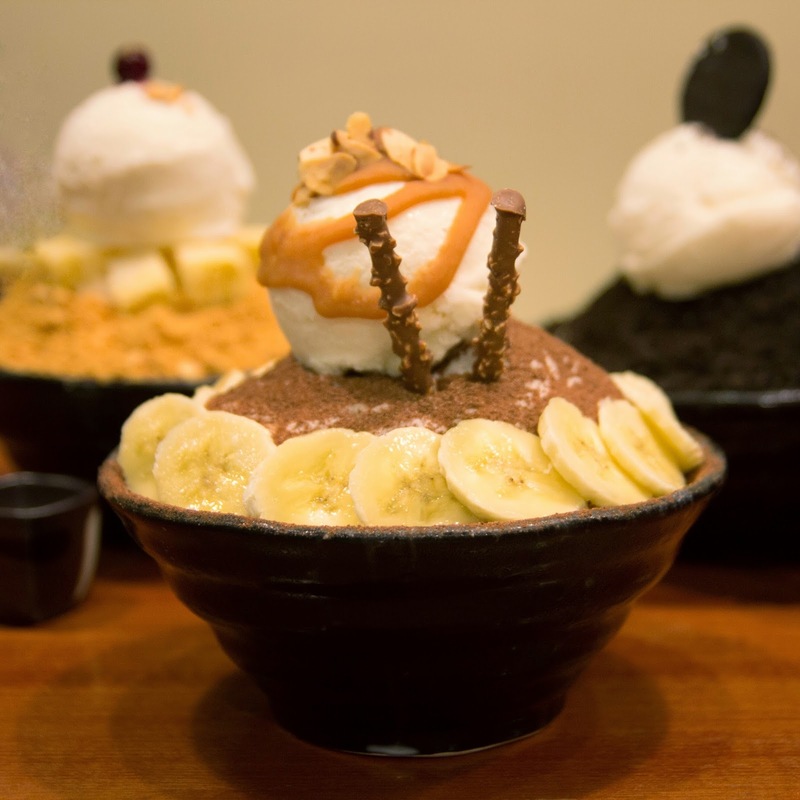 But now, there are still Bingsu shops popping up, and I wonder how they are gonna fight the competition... Nunsongyee has been doing well though, seeing as to how it opened up three branches within its first 10 months. 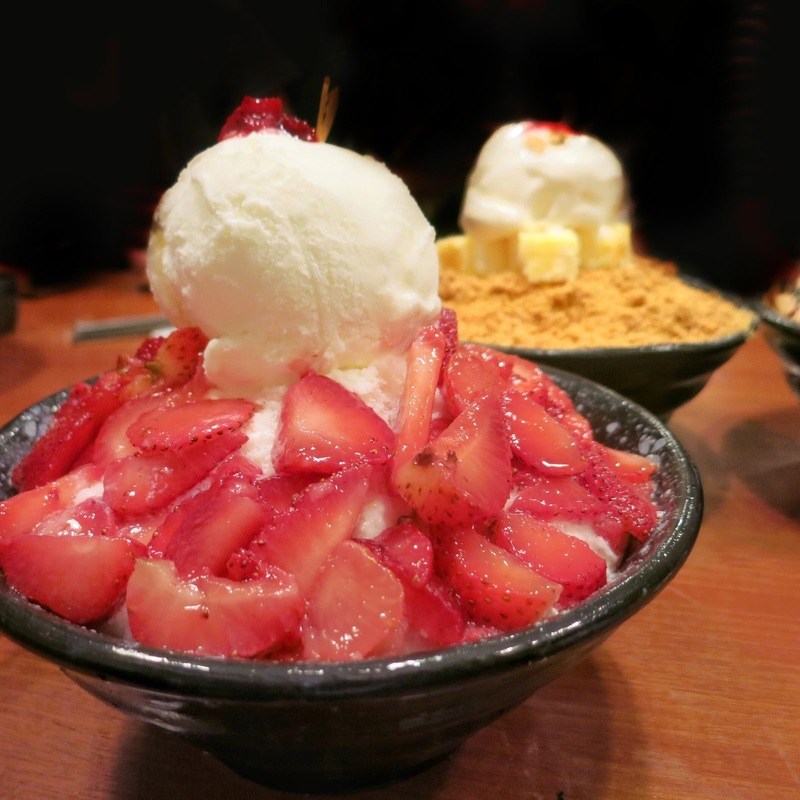 For the unacquainted, Bingsu is shaved ice (or milk, in the case of Nunsongyee's) and the dish originates from Korea. 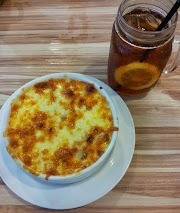 It is a perfect ice cold dessert for sunny Singapore, which fuels the demand for it. But to me it doesn't seem like the trend is gonna last long. I went on 3 separate occasions, each time ordering something new. On my first visit, I was in a big group hence we ordered the above 4 to share. This is kind of like their original flavour of Bingsu - chopped almonds with soy powder and rice cakes. I don't fancy rice cakes or anything that's mochi-like so I kinda avoided that. The soy flavour was quite strong though. You can't go wrong with strawberries, can you? This was satisfying - the strawberries sweet and the shaved milk soft and fluffy. This is one of my favourite of the lot! It's served with real cheesecake cubes and finely crushed digestive biscuits. It's really like eating a cheesecake, because you've got the crumb base and the cheesecake itself, plus the additional shaved milk! The best part is that in the middle of the bowl they layer more digestive biscuits too, so fret not about finishing the toppings! Another thing you can't go wrong with - Oreo. 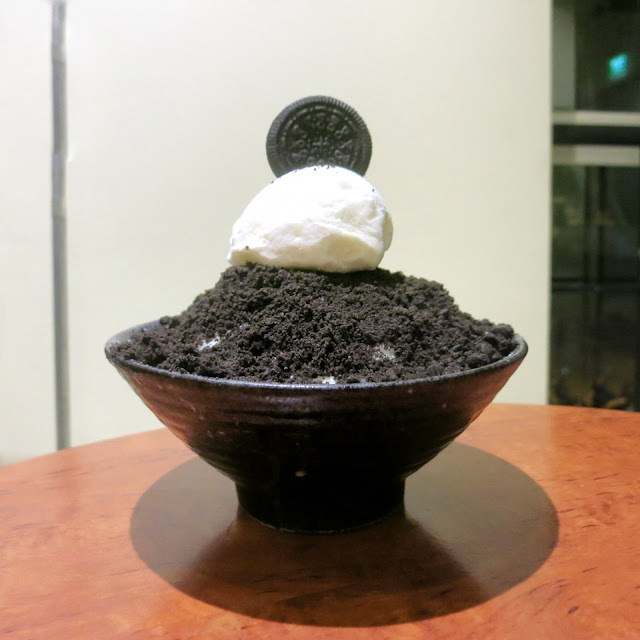 Once again, the finely-crushed Oreo bits are not only found at the top, but in between the soft, fluffy shaved ice too. Below is actually more milk (wondering if it's condensed) because it gets a bit sweeter at the bottom. So, once you've dug a path downwards, try to mix it with the top layer so it doesn't get too bland at the start. This is quite popular too, since chocolate and banana are quite the crowd favourites. 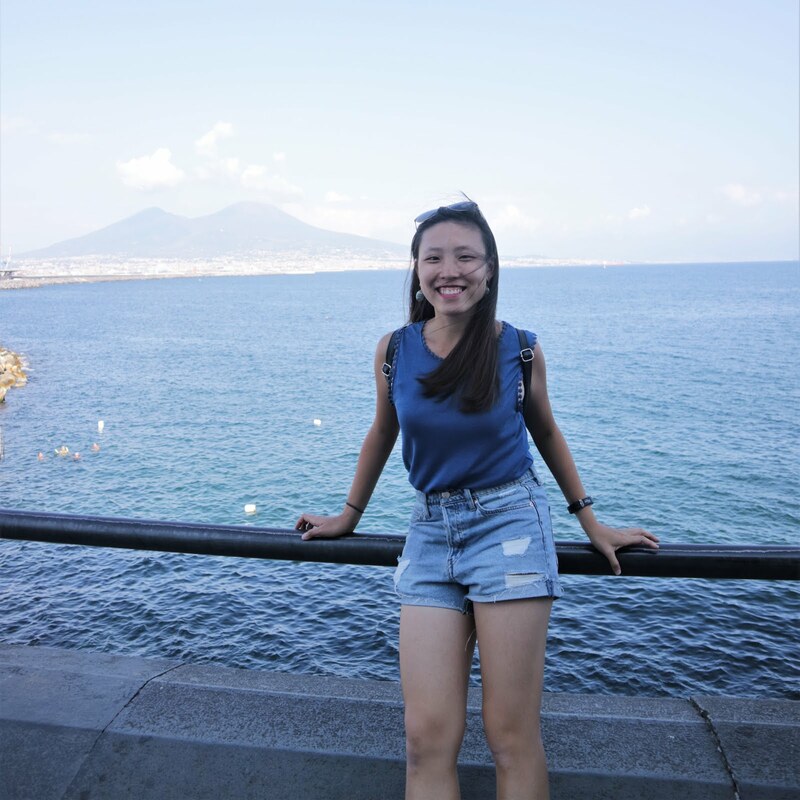 It comes with two sticks of Pepero and a squeeze of caramel sauce and sliced almonds atop the ice cream. This was quite nice too, but the interesting thing is that at the bottom, instead of the suspected condensed milk, there is something that tastes somewhat like Milo? It could be that the chocolate powder mixed with the milk below hence giving such a flavour haha. I love the Bingsus here because they are very soft and really melts in your mouth. It's nothing like the coarse ice from ice kachang and they are indeed fine like snow! 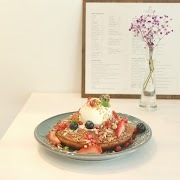 Although there is condensed milk served at the side, I don't think it's necessary to pour it in because I'm comfortable with the sweetness level. Prices are a little on the high side (especially the $18.90 ones) so I recommend the ones at a lower price range, which are equally yummy and satisfying!